Get ready to celebrate. Let's start the week of 💦 Songkran and Soaking 💦 with our special guest Misha Neo from Belarus. Like-minded individuals getting together to explore the options and interests, ... Progressive / Melodic Full On Psytrance / Dark Melodic Techno. Misha NEO - electronic Dj/producer from Belarus,resident of "HBP production" soundcloud also known as June29. Started to mix decks in 2015 but was involved in underground music in 2009 when he was just 12. Inspired by underground electronic music of almost all genres.Digger with experience. Started to learn how to produce music with Ableton 9 since 2016-2017. He also took part in a project called ‘Buddha electronics’ with his polish friend. Nowadays he`s mixes includes a lot of #electro #techno #acid #house music. Let’s rock on! Puffer P is one of the freshest female dj talents from Thailand. Born and raised in the city of Angels Bangkok she proved she can stand her ground next to the masses of male djs. At the start of her dj carreer she participated in the 'Born To DJ' classes organized by Denon Thailand and SAE Institue Bangkok. She is a rising star in Thailand's underground trance scene, gaining recognition through her regular and well received sets. She teamed up with Dacru Records to form the Sonic Dreams events. The aim is to bring internationally renowed psytrance acts to Thailand on quality events. She also joined the label as a dj in her quest to spread the Psy-Trance sound further in Bangkok. Jack the Jackal, born Surajak Kudnork, is the Superman of Bangkok’s Underground Melodic Full-On Psytrance scene. He became an experienced dj, playing for more than 10 years with all genres of music. He started out a hip hop dj but one day he heard psytrance in the streets of Bangkok and has fallen in love with the music ever since. 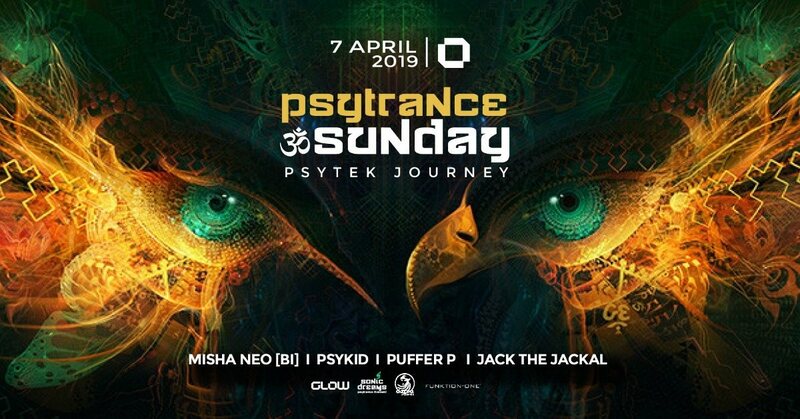 Getting to know the music better and playing many sets at Bangkok’s underground psytrance events, he was able to refine his favorite substyle which can be defined as Melodic Full-On. Since a few years he teamed up with Dacru Records to form the Sonic Dreams events. The label also makes a perfect match for his preferred psychedelic substyle.